A couple of recent paintings, enjoying and exploring the subtleties of April in the woods. The first was done on a north-facing side of the bluff. The trees grow tall out of the steep hillside, and large, moss-covered boulders mark the landscape. Delicate hepatica flowers bloom among last year's fallen leaves. 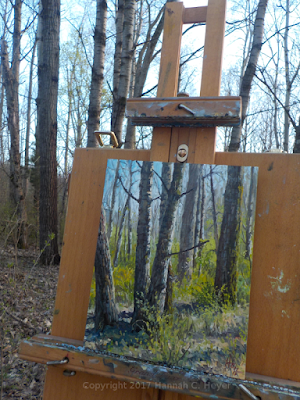 This spot is on the western end of the same bluff, and already the low-growing shrubs and bushes were leafing out, making a soft green haze over the forest floor. 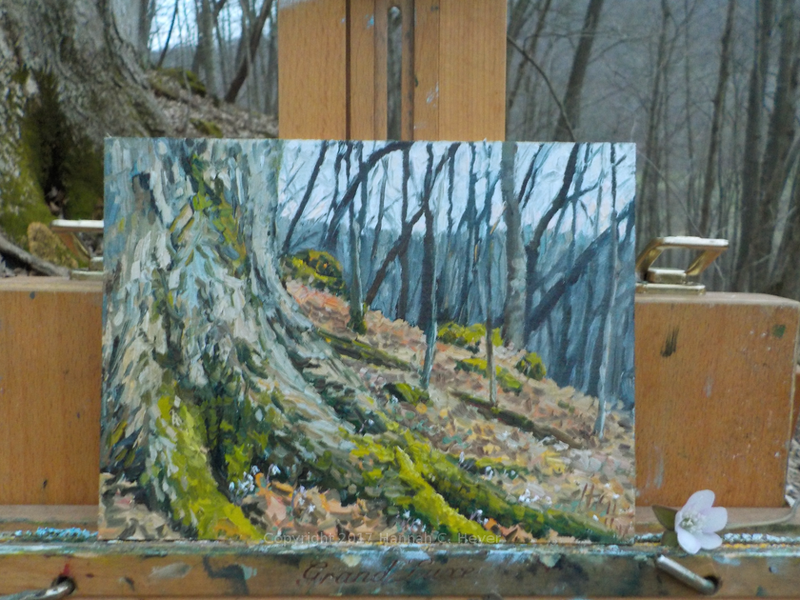 I loved working out how to convey the differing hues and textures of the spring-green foliage, and the thick clinging moss that grows on some of these old poplar trees.